In an effort to ensure that no banking organisation is too big to fail, US and European regulators are requiring systemically important banking institutions to file plans that explain how they would recover from an economically distressed situation and how they could be resolved or liquidated safely in the event of failure. In developing these plans, globally important banks will have to deal with regulators in different countries and with different resolution tools. 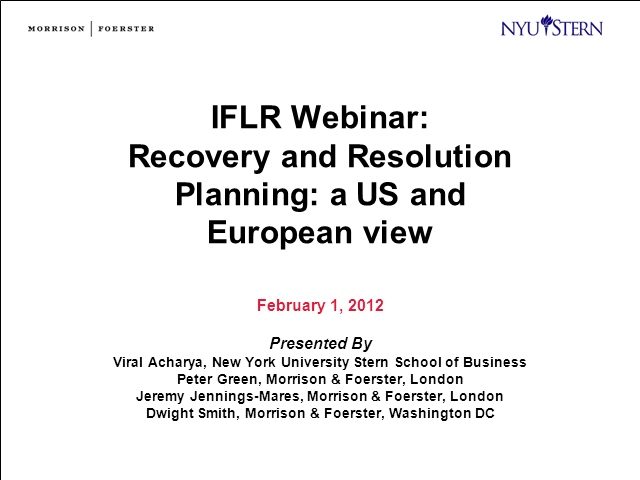 Our panel will review the final resolution plan regulation in the US and the emerging requirements in the UK and Europe.